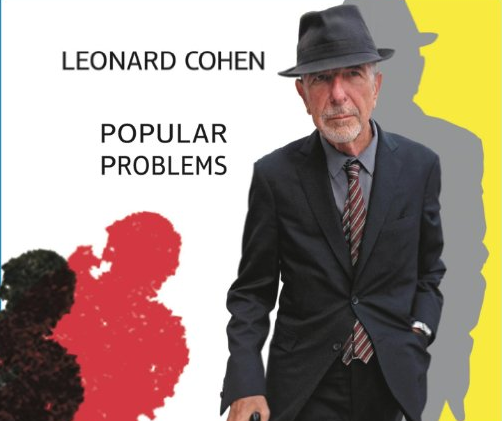 Just thought you'd like to know: NPR's First Listen site is now streaming Leonard Cohen's new album Popular Problems. But it will only be available for a limited time. So don't waste time getting your listening party started. In its review of the album, The Guardian notes that "financial worries may be driving his comeback, but Leonard Cohen’s songs of despair have never sounded so full of life." Listen to the free stream at NPR and see what they mean. (Also find a free stream at The Guardian.) Or pre-order your own copy on Amazon or iTunes.